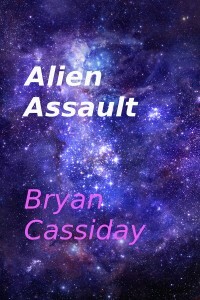 Bryan Cassiday will be releasing a new anthology of his zombie stories together for the first time under one cover, including a brand-new story that has never before been published. The anthology will be called The Bus Stops Here and Other Zombie Tales. All zombies all the time. The story “The Bus Stops Here” gets its world debut here. A school bus and its adult passengers are stranded in a nightmare that gets worse by the minute. In all these stories the zombie action is nonstop and lethal. During a zombie apocalypse, everybody is caught up in a Hobbesian world where life is nasty, brutish, and short. Along with graphic zombie mayhem these tales depict the lengths that individuals will go to to survive. But even the strong will have trouble surviving . . .
It’s not just the voracious brutality of the zombies, but the psychological toll they take on their human victims. Even if you’re lucky enough to survive their teeth, you may lose your mind in the process. 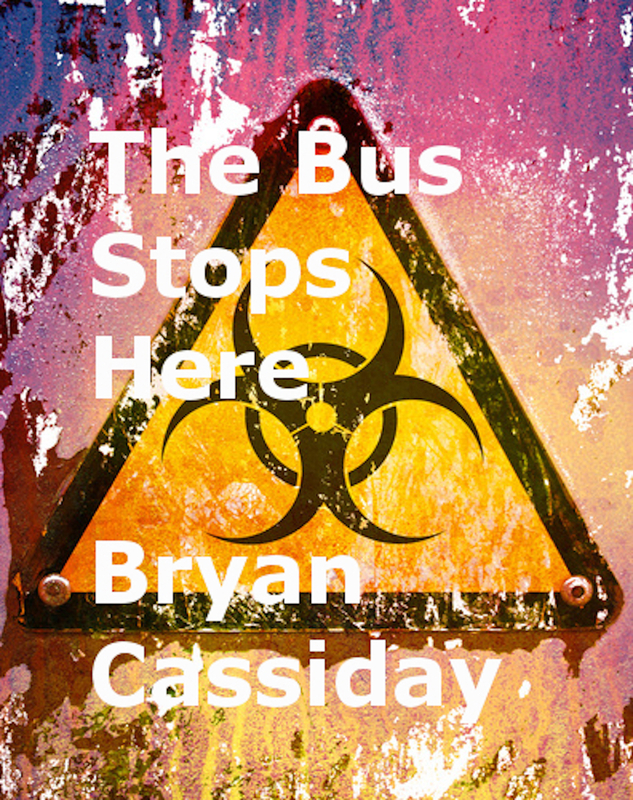 The Bus Stops Here and Other Zombie Tales is now available for preorder on Smashwords. 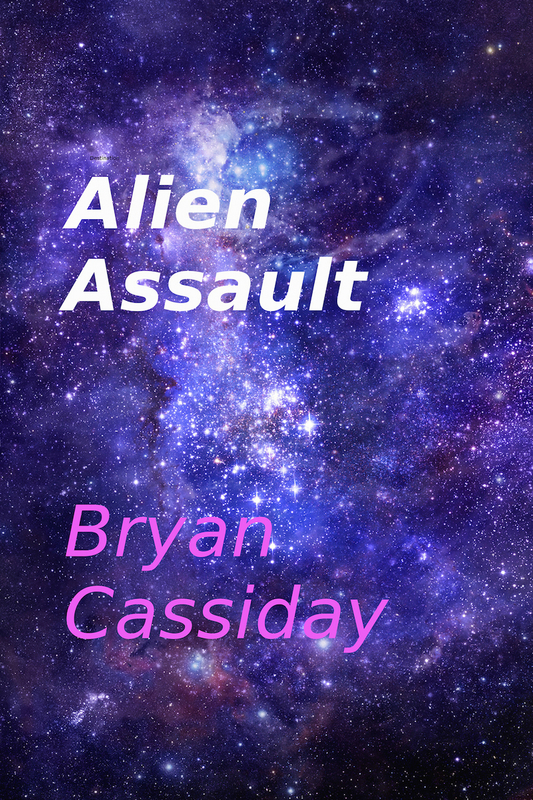 Bryan Cassiday’s collection of terrifying science-fiction horror stories Alien Assault is currently in production as an audiobook. Stay tuned. 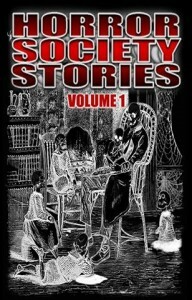 Horror Society Stories Volume One is now available at Amazon. Bryan Cassiday’s nerve-shattering zombie short story “The Invisible Enemy” is included in this anthology which has just been published this month. Read the story and feel the fear. Helter Skelter, Bryan Cassiday’s collection of his zombie stories and horror stories, is now in production as an audiobook. Peter Husmann has signed on to produce it. 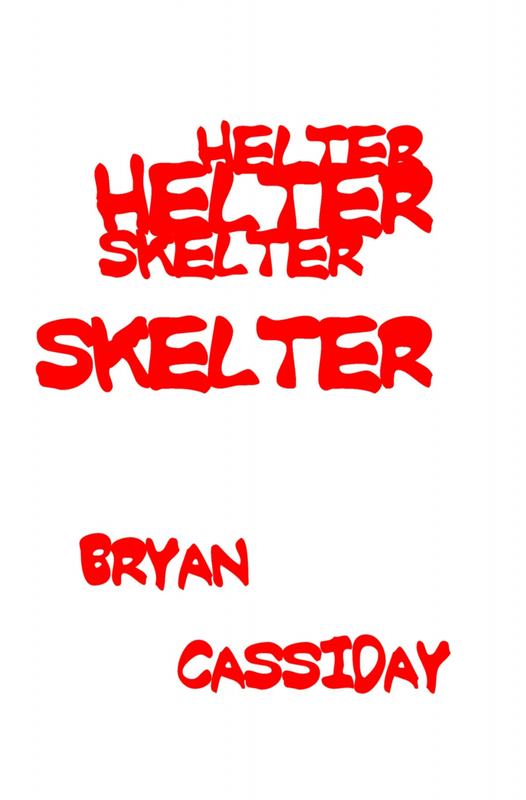 If you can’t wait for the audiobook, you can always read Helter Skelter on Kindle at Amazon.